Earlier this year, the Institute of Fiscal Studies calculated that spending per pupil in England will be cut by 6.5% by 2019/20 – the first real term cuts to education funding since the 1990s. Compounding the issue is the rising number of pupils, resulting in current spends by schools well outstripping their budgets. The growing pressure on school budgets has prompted outcry from the education sector, with school heads warning that without some relief, the education system will not be able to continue to deliver the standard of education required. Within this mounting budget crisis, technology is beginning to help schools to identify and establish innovative methods to generate and maximise revenue, rather than simply relying on tough budget cuts to balance the books. An opportunity to generate additional revenue increasingly taken by schools, and indeed a growing number of other public sector institutions, is to open their facilities for hire by the community. Recent research suggests that the £103m deficit run by local authority schools could be eliminated, if 10% of the UK’s 24,317 schools actively used this avenue to generate additional income. Indeed, Kajima has found that schools that choose to hire out their facilities can generate average annual revenues of £40,000. For some schools, this increases to as much as £350,000 a year. Technology is forming a critical part of this opportunity – enabling educational institutions to centralise what can be a complicated administrative process. For many schools, the main obstacle to establishing a programme where facilities can be hired out efficiently is cost. Handling the logistical, legal and financial aspects of hiring out school facilities can seem like a time-consuming and burdensome process, which diverts resource from core school business. However space lettings software and technology is empowering schools to put the right processes in place, enabling them to manage surplus spaces and room bookings, undertake online invoicing and payment in a time, resource and cost-effective manner. School facilities represent a hugely under-utilised resource. Over a third of all sports facilities, including 61% of artificial grass pitches and 77% of sports halls are located on school, college and university grounds, however these facilities typically lie empty over the evenings and weekends. Whilst sport facilities, such as football pitches, indoor courts and swimming pool facilities are highly sought after by community groups, other facilities, such as art and music rooms, dance and recording studios, are also in high demand. Technology’s ability to support the space letting process has been a game changer for a sector facing growing pressure to deliver results with fewer resources. Kajima partnerships alone have enabled schools using our software, BookingsPlus, to generate a total of over £12m revenue in the last year. 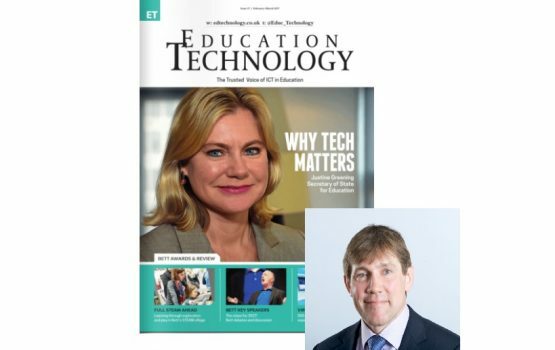 As a greater number of schools search for innovative methods to address budgetary constraints, there is little doubt that technology will be central in allowing schools to maximise on their existing assets and capitalising on additional revenue streams. View the full article at www.edtechnology.co.uk. Find out how our range of lettings services can help your school increase income, call us now on 01604 677 764.